Have you wanted to join the revolution and use drop cloth canvas in your home decor, but just weren’t sure what kind to get? Well, I have the perfect post for you. 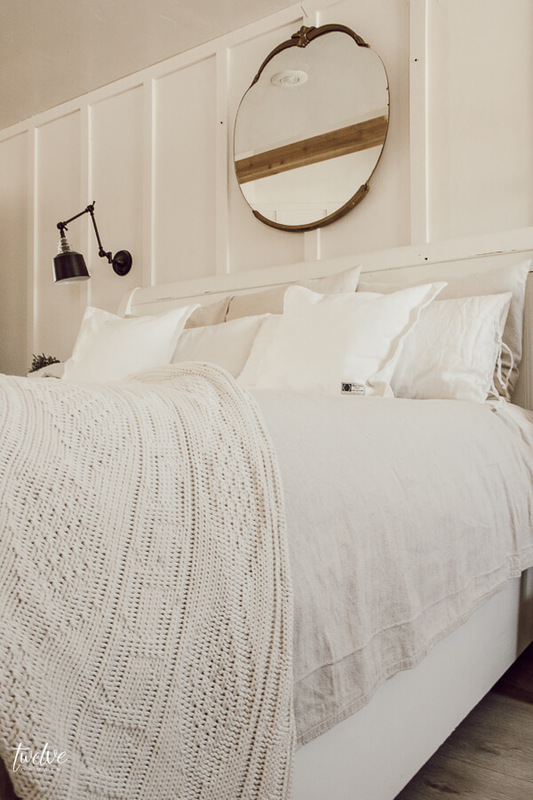 Come learn how to choose the perfect drop cloth for your home decor. 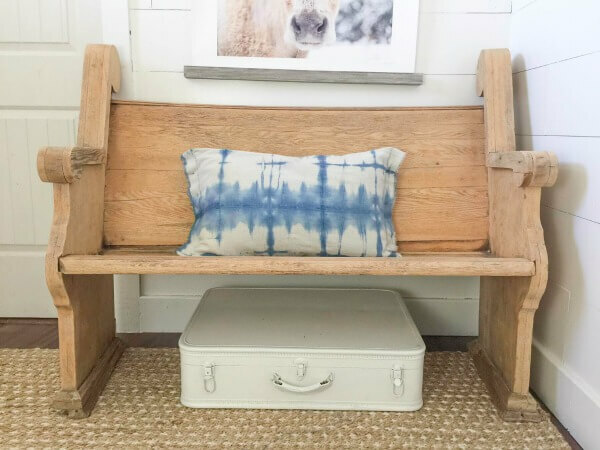 If you have been here before, you know I love using drop cloth canvas for home decor projects. Drop cloth canvas is so versatile. I have previously posted about 8 different posts using drop cloth as the main material. You can see my collection of drop cloth canvas projects here. 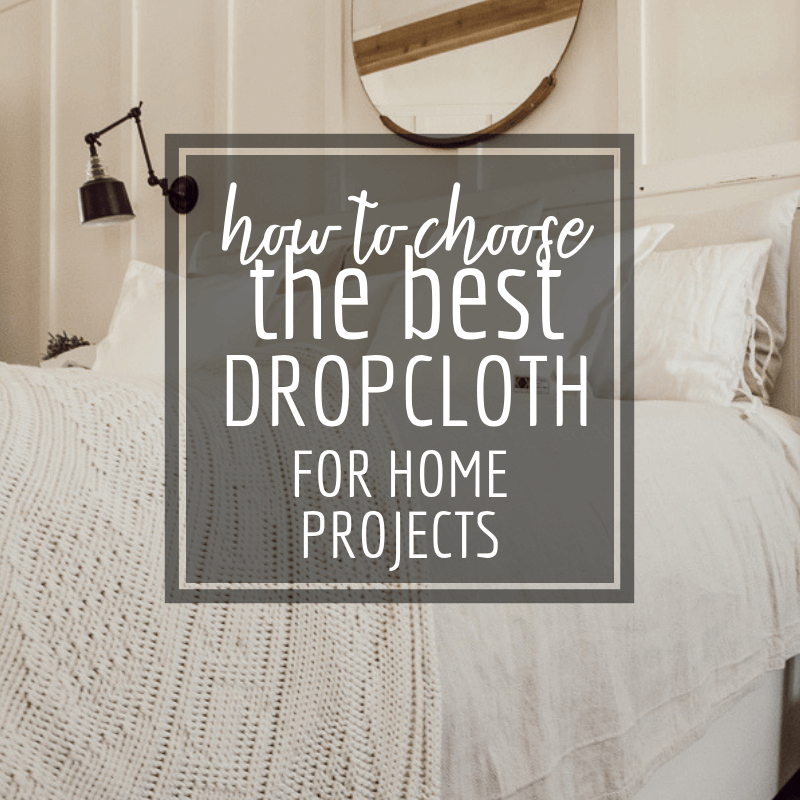 But, there is a lot of confusion about drop cloths, how to choose them and what projects they are good for. So lets get down to it and talk about drop cloth canvas. First lets learn a little bit about drop cloth canvas. There are many types of canvas drop cloths. It is really easy to pick up the wrong kind of drop cloth depending on what you want to use it for. 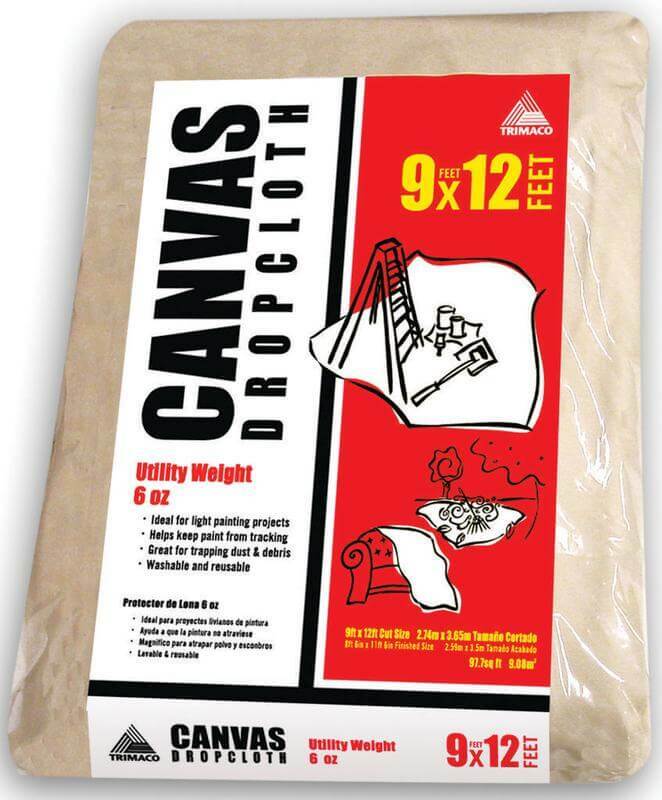 Drop cloth canvas comes in many different weights such as 6 oz, 8 oz, and 10 oz. The bigger the number the heavier the drop cloth fabric will be. Canvas drop cloth is made of 100 percent cotton duck fabric. It usually has double-stitched seams and heavy-duty rot-resistant thread, canvas drop cloth is washable and reusable. 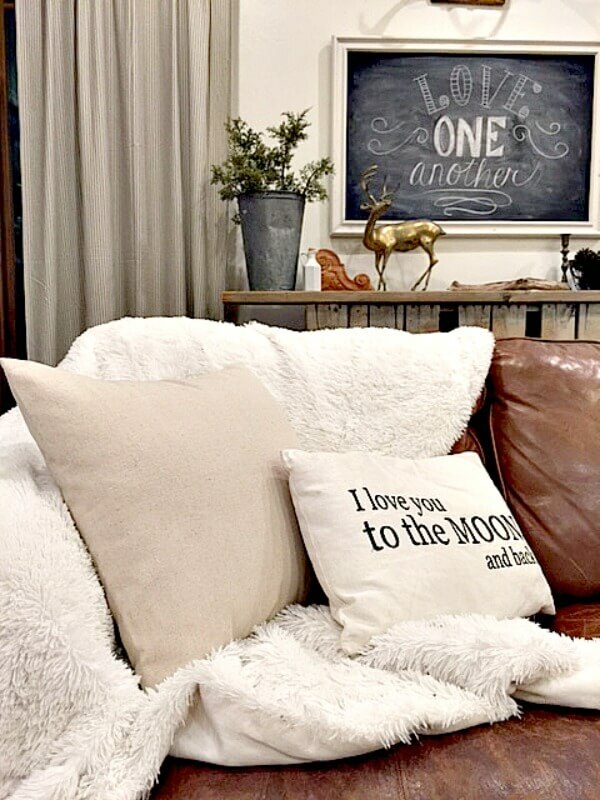 Canvas drop cloth has a very natural look to them which makes them the perfect candidate to use in home decor projects, especially farmhouse style projects. 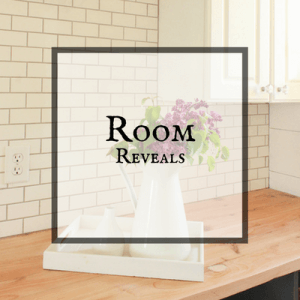 What makes drop cloth canvas so attractive for home decor projects? First off, the price. You can get a good canvas drop cloth 9ft by 13ft for 15 dollars! That’s insane. 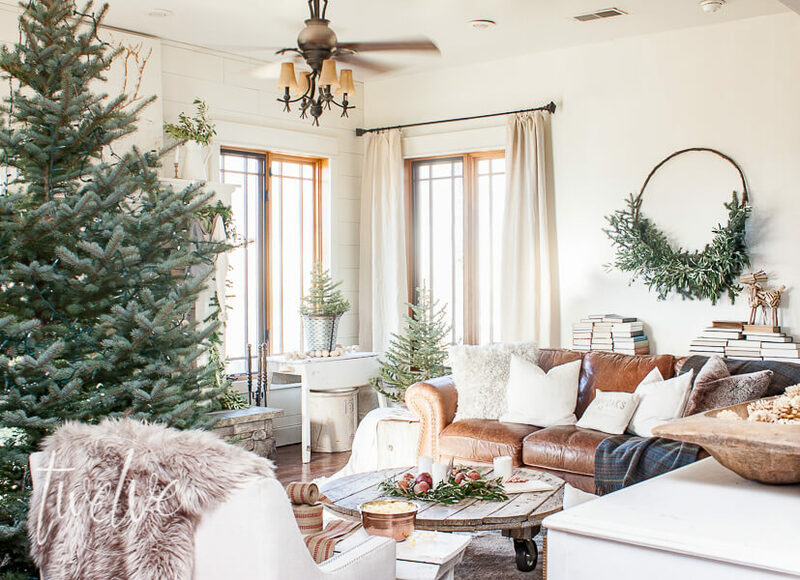 Second, these large pieces of fabric are hemmed on the ends, making them an ideal option for curtains and tablecloths if you are looking for an inexpensive but stylish option. Third, the color and texture. Most drop cloths have a very nubby texture and a soft light beige color to them. Their color allow them to be very versatile in their application. But once again, you want to make sure that you choose one that is right for your project. 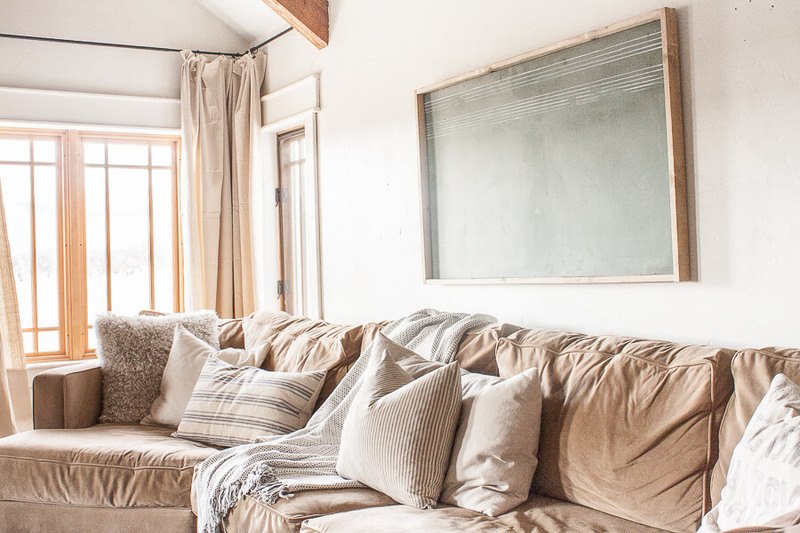 Here you can see all the different ways I have used drop cloth canvas in my home. Obviously I love using drop cloth canvas fabric in my home. Now lets talk about choosing the right fabric for your project. This is actually the easiest decision to make. You want the heavier weight drop cloth. This will give you the most protection. It will prevent any paint drippings from leaking through. Using your drop cloths for their intended purpose is pretty straightforward. 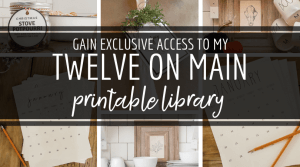 They will last you forever and you can reuse them with all your painting projects. Now, this is a place where drop cloth fabric really shines. You can use drop cloths for curtains, bedding, and other items including pillow covers. I want to talk about The kind of drop cloth canvas recommended by me for mainly curtains and bedding. THIS IS ABSOLUTELY, BY FAR…MY FAVORITE DROP CLOTH FABRIC TO USE! This is a 6 oz canvas which means it is lighter, more utility weight fabric. This means it is soften, a bit thinner, and more pliable and hangs better. If you were to hand a 8 or 10 oz drop cloth as curtains, you would have very stiff curtains. They would not hang well. I have drop cloth curtains in both of my living rooms and apart from having to steam them after I hung them, they were practically the easiest curtain project I have ever done and they look great! I have used them in so many different pillow cover styles and sizes from rectangular to large euro size pillows. I have used sharpie markers to create designs on them. I have also used my fabric to upholster a thrift store metal chair. The possibilities are endless. Here I used my drop cloth to create a shibori style fabric. It turned out so great and the organic feel of the fabric is perfect with the design. 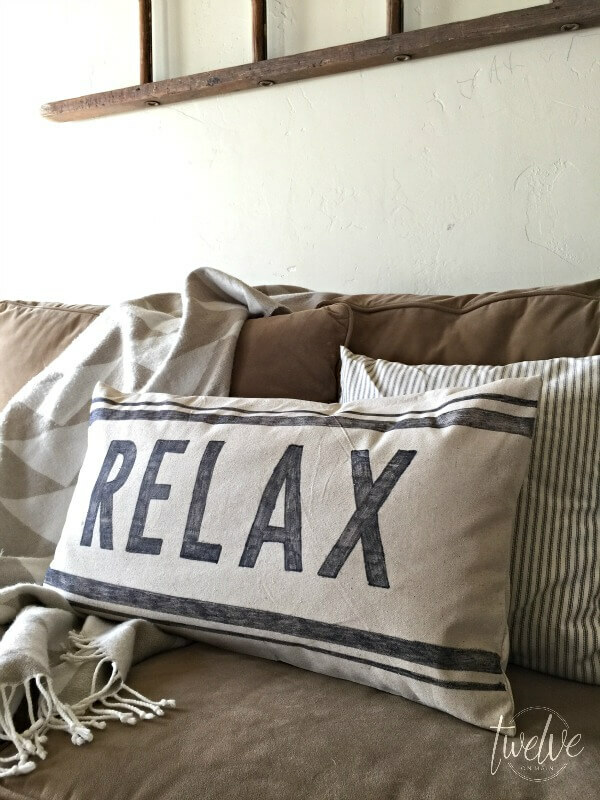 When making pillow covers out of drop cloth canvas, I have used a variety of different dropcloths. For some of them, specifically in the were going on my couch, I wanted a bit of structure and have used an 8oz, more stuff fabric. I used a 6 oz drop cloth for the euro style pillows on my bed. 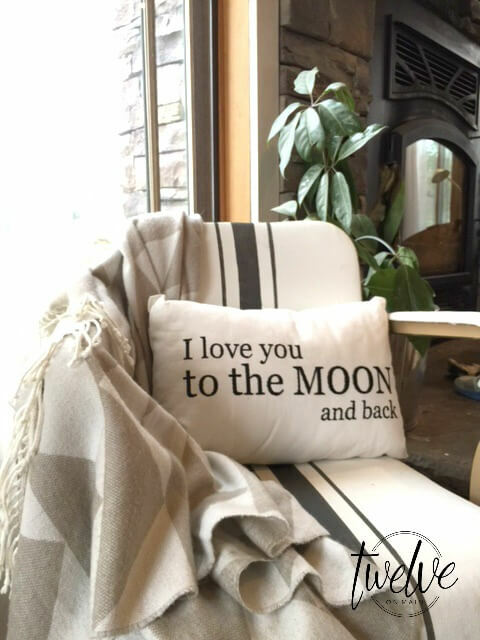 So, you have more options when it comes to creating pillows and pillow covers. They wash up perfectly, and the fabric holds up so well. For my banners, I have used a heavier 8 or 10 oz drop cloth. I want more structure since it is going on the wall. I want to minimize the wrinkles and find that the thicker drop cloths hold up better that way. 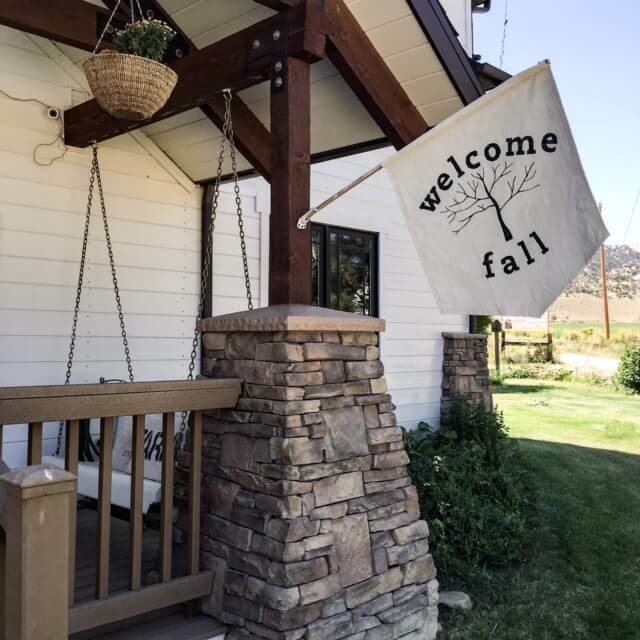 I made this outdoor fall flag with a heavy 10 oz drop cloth and also painted it to add more stiffness and protection from weather. 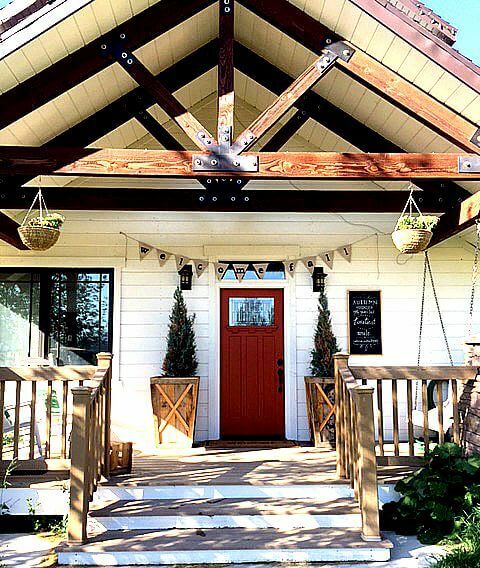 I also made this simple bunting banner for my porch using leftover pieces of dropcloth. I always keep all my scraps just in case I need them for something! Do not let it go to waste. 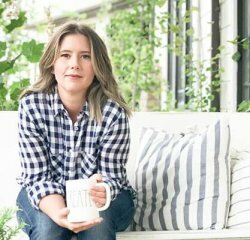 There are a few things I wanted to make sure I talk about before you go out and buy your drop cloth. Sometimes when you purchase a large drop cloth they can come sewn in two pieces with a seam down the middle. But, I definitely think that depends on the brand you get. This one that I purchase from Walmart has never come with any seams in them. Also, they can sometimes come with a bit of an irregular shape. In my experience, it can sometimes just be a slightly crooked hem, but I have not found this happening much. I just want you to be aware of what could happen. Last, be aware that drop cloth fabric can be wrinkly and have creases that can be difficult to come out. I use a steamer to get the wrinkles out. When you wash the wrinkles can get a bit worse. But using a steamer or iron with the steam will help get them out. But be aware that it will be similar to linen and have a small wrinkle to it, but I like it that way. The heavier drop cloths do have less wrinkles in them because of their weight. 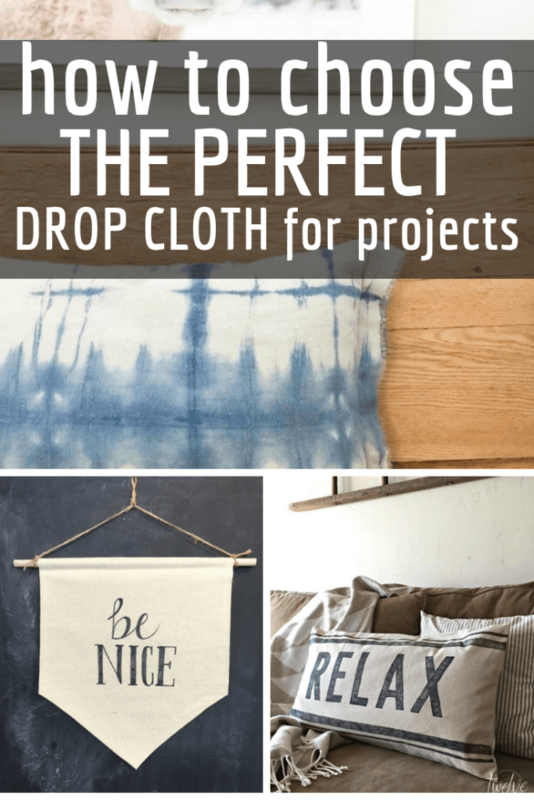 Even with the few cons that I have listed about drop cloth fabric, it is still one of my most favorite materials to work with in my home whether for curtains, bedding, pillows, or other simple decor items. 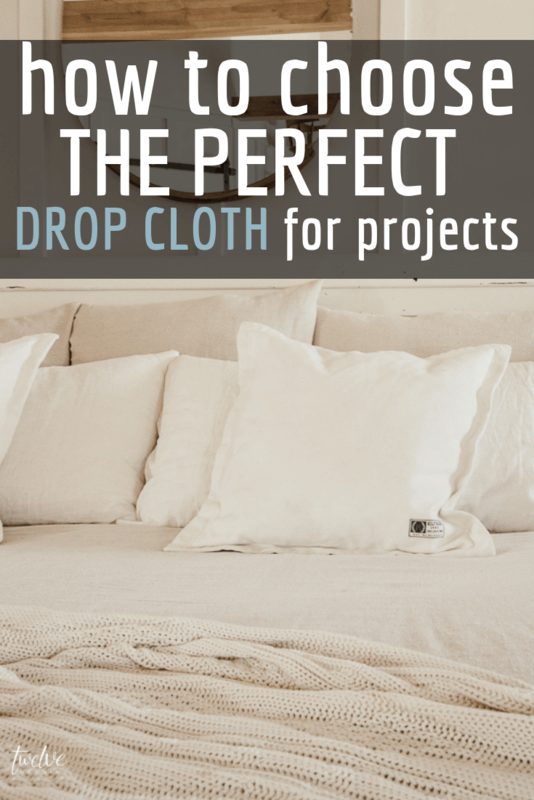 I hope you’ll try using drop cloth in your home and I would love to see any projects you have done! Make sure to PIN IT! This is how we keep our articles here circulating! Great information! 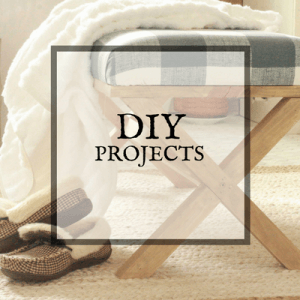 You have such good ideas and give great directions for DIY projects! Thanks! Thanks so much for sharing this infor! I have had a couple of drop cloth projects that I have been wanting to do but just haven’t gotten around to it. Plus every time I look at the drop cloths I see so many different ones to choose from that I just look then tell myself I’ll get it another day! This post gives me a better idea of which one I will need.